This projects allows users to store sensitive data on their mobile phones without having to worry about is confidentiality even if the mobile is lost. This system is developed so that employees and other mobile users can store and operate on sensitive data on their mobile phones without having to worry of it bieng leaked. 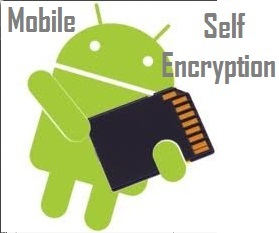 This software project concentrates on securing data on mobile phones by storing it in an encrypted form. THis data is encrypted with a stream cipher whose key is stored on a server. When the mobile device is lost it sends a report to the server and the server then destroyes the respective key so that the data on that mobile can never be encrypted and remains confidential. Get this software engineering project only on NevonProjects. All mobile data will be in encrypted form only the owner of the mobile phone can access the data. User doesn’t have to worry about confidential data being leaked. The user may again recover his data by entering the pin through another mobile but the thief won’t get the data. Improved data confidentiality since data is encrypted with a secret pin and stored only on the server. In case the phone is lost the server still has the data and we have the pin thus securing the confidentiality of the data. If user shares the pin with his colleague. The workmate can easily access the confidential data.